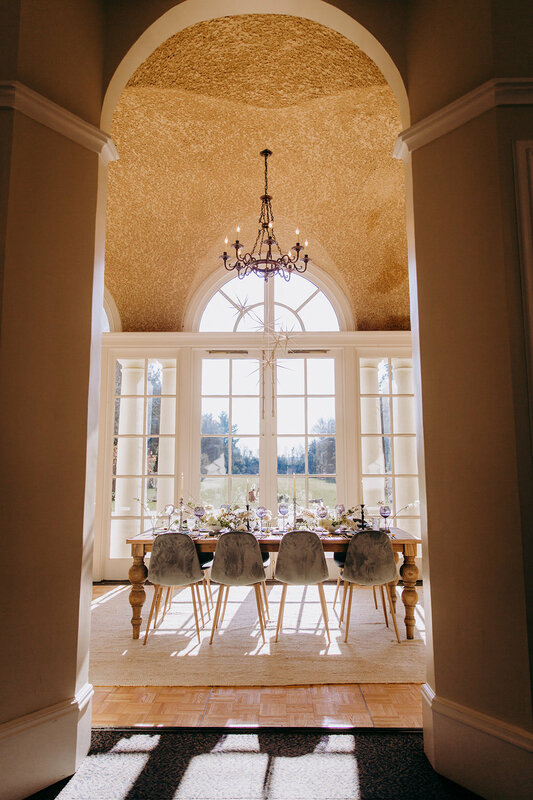 This winter, I had the chance to be a part of a stunning styled shoot planned by Lindsey from Wildflower Events. Her vision was luxurious, soft and romantic with a touch of bohemian vibe. The color palette she put together was dreamy and ethereal; soft and dark blues, nudes, greys, taupes, and whites. I was IN! She let me know that a few different photographers from the New England area would be joining and the shoot was taking place in Middletown, Connecticut at the Wadsworth Mansion at Long Hill. When I looked up the venue online, I couldn’t believe how beautiful it was; elegance with New England charm. Designing something within this color palette was so much fun for me. I loved pairing the creams & nudes with the blues. It crated such a visually lush palette. I knew Lindsey loved texture - so I added a custom painted watercolor texture to the suite. This watercolor, marbleized texture was able to be customized in color to her look & feel, and I used it sparingly and subtly throughout the design. I did not want the texture to overpower the design - but aid in its dimension. I also created custom Table Numbers and Menu Cards to correspond directly with the wedding invitation suite. I like to design every single piece of the wedding paper experience so that it works together and is cohesive. That over-arching concept really brings all of the stationery and paper together and gives your event a totally branded look. I love being a part of styled shoots; they give me a chance to be a little more creative and push my designs in ways I may not normally be able to. Also, even though I sadly, couldn’t physically be at this shoot - I know I’ve made some new connections in the New England and Connecticut area. 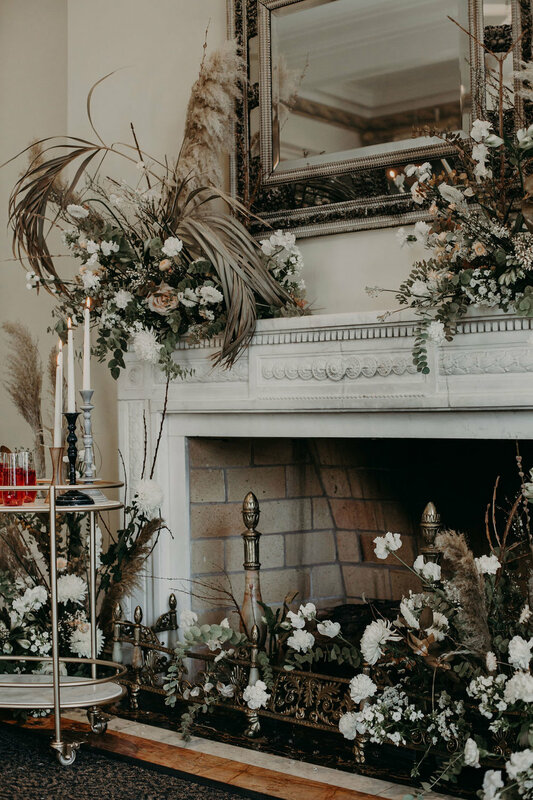 I loved the vision for this shoot - Lindsey and Wildflower Event Design kicked it out of the park. And of course, the photographers did as well! See below for the entire creative team along with their intsagram handles! Check out these awesome wedding professionals!